The once privately owned Mega Bingo Contract slipped away from the Guam National Olympic Committee late in 2016 with Community Corporation, a Santa Monica-based non-profit organization, taking on the contract while aiming to spread Bingo funds to other local sports organizations. 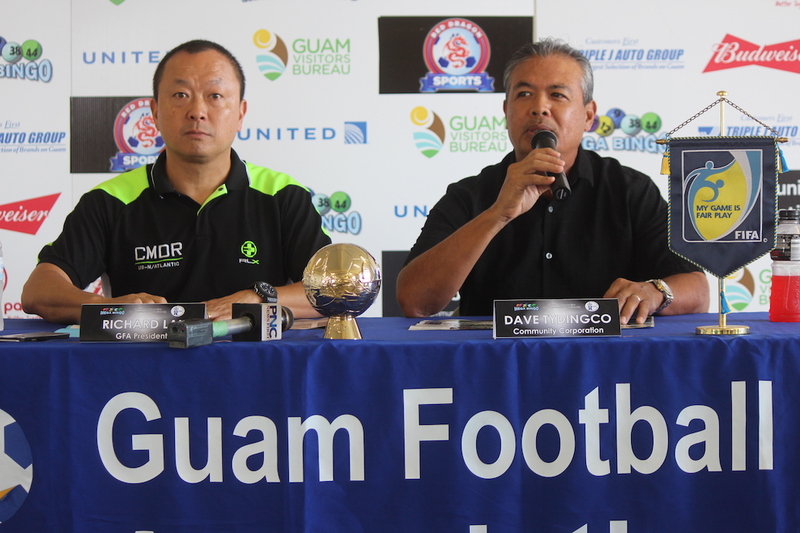 The Guam Football Association held a Press Conference Saturday morning to announce they were the first to receive a sizable donation from Community Corporation (Mega Bingo). GFA will receive a grand total of $60,000 for a year with $5000 being donated on a monthly basis. “100% of the donation will be going to the youth,” firmly stated GFA President Richard Lai during Saturday’s Press Conference. The donations will go directly to help offset up to 50% of the team fees to play in the GFA’s youth leagues, which consists of 15 clubs with over 12 different age brackets along with the coaches of the teams and close to 100 referees in the weekly youth events. Dave Tydingco of Community Corporation insisted that GFA isn’t the only organization going to be receiving the donations and encouraged other sports organizations to apply for the opportunity at communitycorporation.org. “We wanted to use a model organization like GFA as the first recipient because we know that all the money will be going directly to the youth. This gives children an opportunity to focus on a healthy life and health body. We want to help other sports organizations for kids who not only want to play futbol, but also who want to play baseball in Tamuning or football in Merizo,” added Tydingco. GFA announced that they started receiving the monthly $5000 since October 2016.